have the funnest birthday ever! Is this not the cutest little chick?? 😊 She’s from the Bringing Booty Back set from Unity Stamp Company and I think she made a fun birthday card for a sweet little 4-year old. 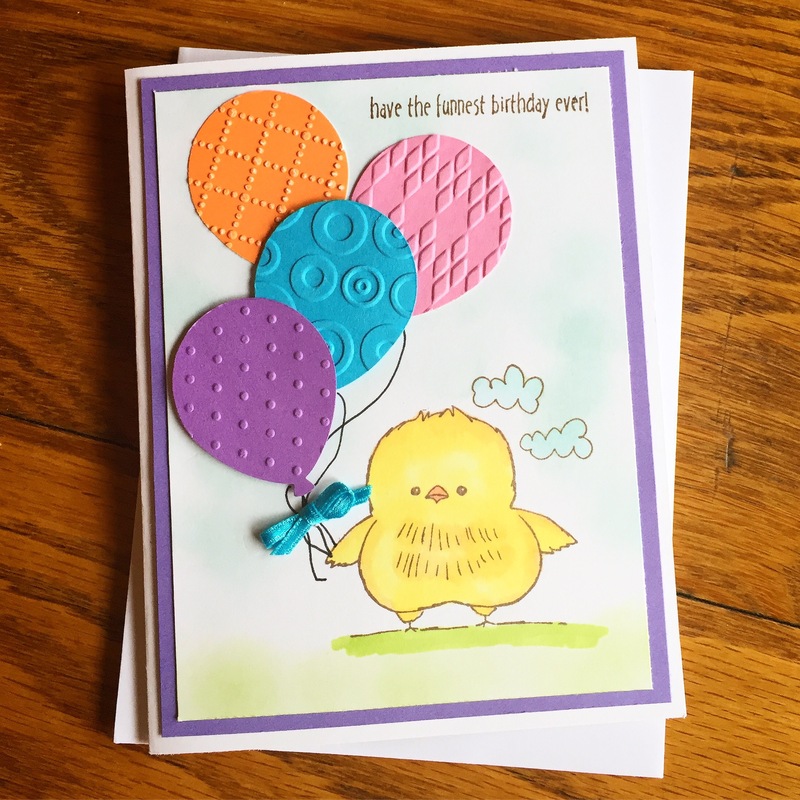 I punched 4 balloons using the Balloon Bouquet Punch from Stampin’ Up from different colors of card stock. Then I embossed each balloon with a different embossing folder. I attached the orange and pink balloons directly to the card. The blue and purple balloons are attached with foam tape. I used a fine tip black marker to draw the balloon strings and attached a tiny blue ribbon bow. 1 Response to have the funnest birthday ever!